The Magenta Foundation is Canada’s first charitable publishing house, whose mandate is to nurture new Canadian artists and set them up for success and recognition on the international scene. Flash Forward is their yearly emerging photographers competition. 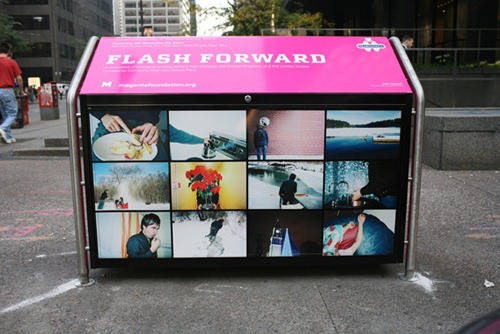 Last time around, the artists chosen for Flash Forward got the added rush of having their work displayed on recycling bins around downtown Toronto. The benefit of this is obvious. 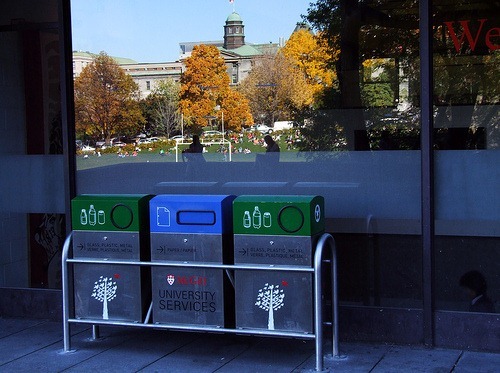 Metal recycling boxes are ugly. Art is pretty. Plus Toronto’s downtown core can benefit from all the added artistic exposure it can get. Aside from a few bright spots, it’s not exactly an area where accessible public art is popping up everywhere you look. Each time I came across a new one of these while I was walking around downtown it was like finding a chocolate egg on Easter morning. Plus I get a little misty eyed thinking of all the people who maybe wouldn’t have been interested in fostering or even noticing Canadian artists who had their attitudes changed by discovering works of art in such unexpected places. 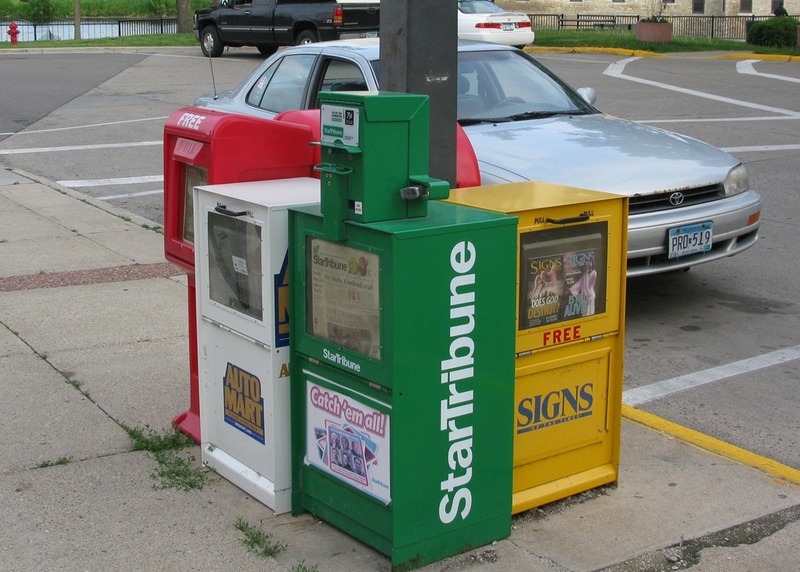 I can tell you that the newspaper vending racks are on our recommendations to the council. .-= (Hayes Scriven is a blogger. See a recent post titled Summer Hours!) =-. 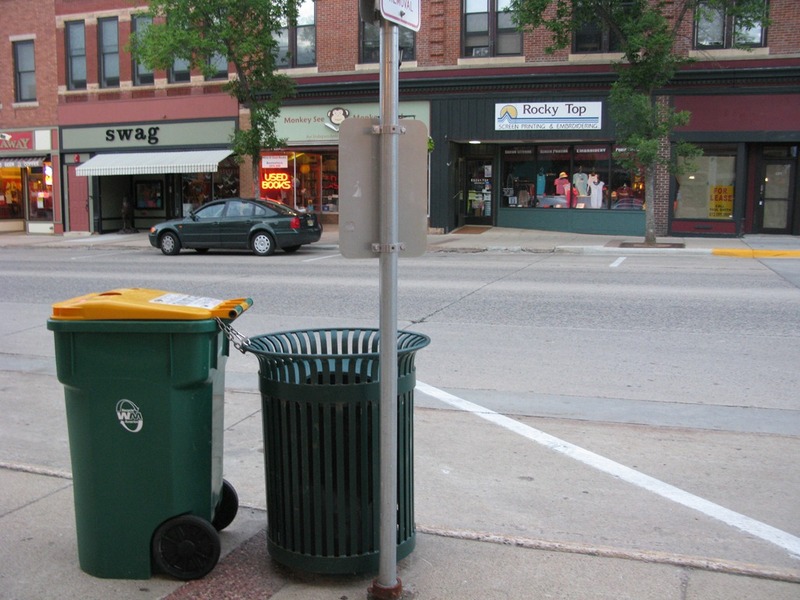 I don’t think the Northfield bins are ugly. They are designed to be functional, easy to use, easy to dump and not too conspicuous, but not invisible either. 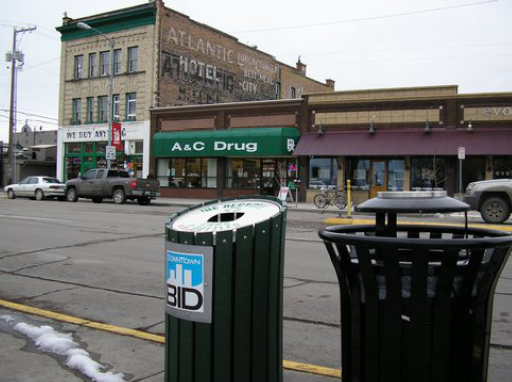 While I like the use of a bit of craft to decorate a bin, with the actual subject at hand in mind, i.e.,recycling and proper placement of it all, I absolutely loathe the idea of putting art on a bin, (or putting craft on a bin and calling it art for that matter). Who wants to put the same thing on the walls of a fine restaurant or other high end establishment as is found on the recycling bins? Art should lift us up out of everyday matters, so that when we return to everyday matters, we have a new appreciation, or inspiration regarding life. To continually bring art down to the everyday matters diminishes it’s value and effort. I am not for the homoginization of all. Well, yeah, I’ll go with it for a few moments because I do realize the value of valuelessness but then I’d move on because that is where the energy flows anyway. the idea we had were sturdy wire baskets that would just hang on the side of the green trash baskets, and sort of clip on to the slots. it was pretty ingenious but involved using a canvas or rice bag as the exterior (probably not a good idea in this soggy weather) and not a good idea anyway as far as durability. .-= (Marie is a blogger. See a recent post titled Explanation) =-. Marie, I actually like the idea of a wire basket gizmo of some kind that hangs on the side of the current trash bins. Cheap! 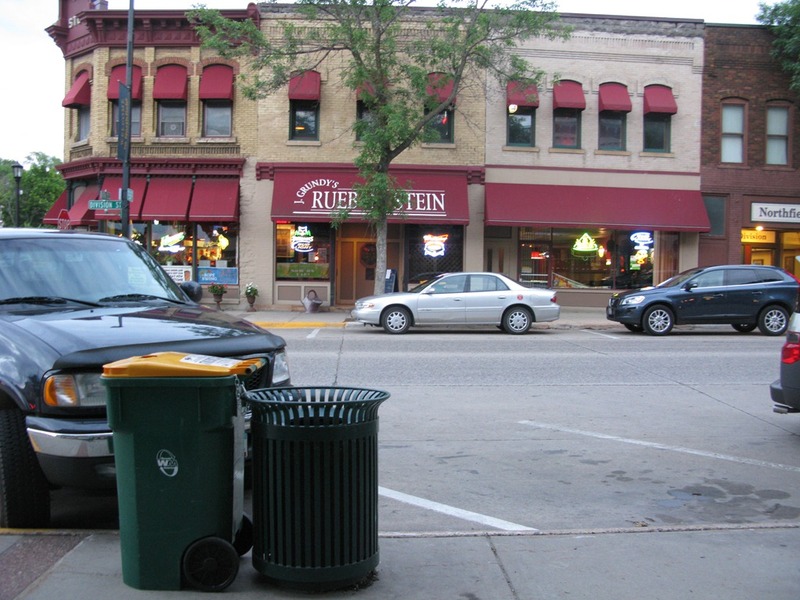 The trick would be to make it apparent to people that it was for recycling, not trash. Any ideas on how that could be done?